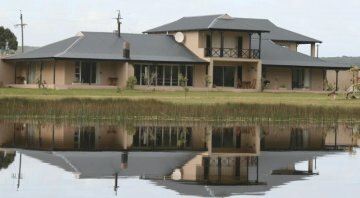 If you are looking for peace and tranquility then you must stay at Stanford River Lodge. 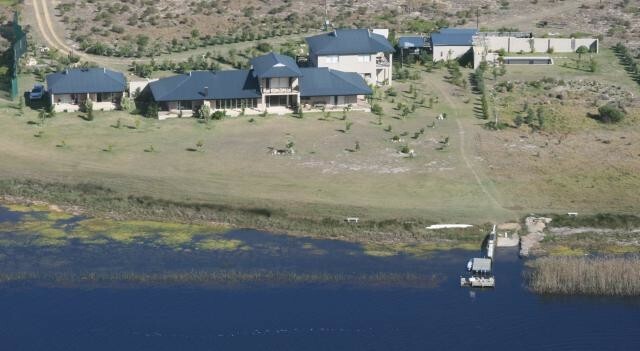 We are the only guesthouse in Stanford actually on the river. We have canoes for the guests to use or bring your mountain bikes - there are great rides in the area. You can bird watch from your patio and maybe even see the otters fishing in the river in the evenings. Wake up to the haunting cries of the fish eagles calling each other. For a quiet weekend getaway or a fun filled weekend, cycling, hiking, walking on secluded beaches or whale watching in Hermanus you have to put us on your "bucket list". Situated right on the exquisite natural beauty of the Klein River 21 hectares, north facing with uninterrupted views of the Klein River mountains that run parallel to the river. Five beautiful double rooms each with en suite bathrooms and covered patios and BBQ facilities available - all have views of the river. 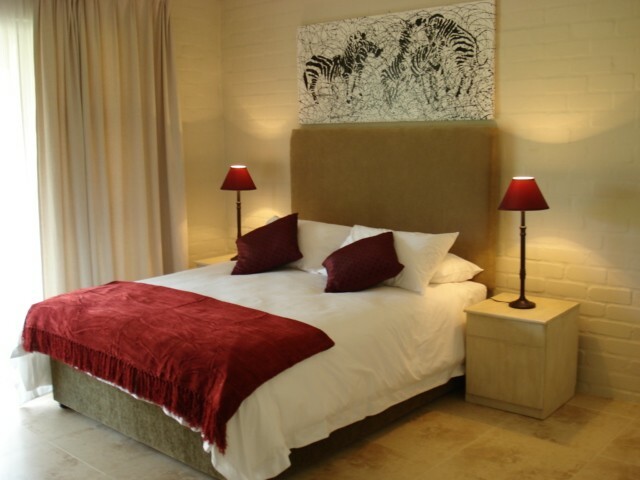 The upstairs honeymoon suite (Fish Eagle Suite) boasts stunning views both from the bed and bath. 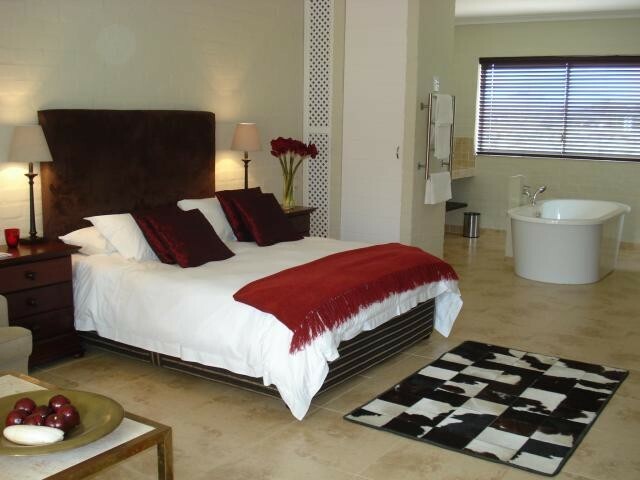 There are 2 double self catering units which have full kitchens, crockery, cutlery, bathroom on suite with shower. They also have great views of the river. 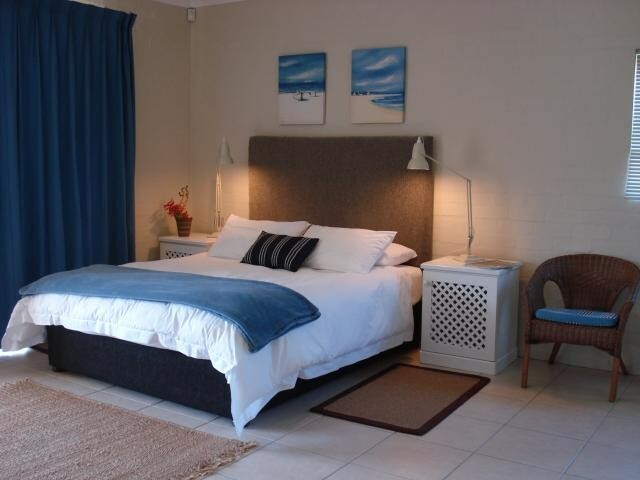 We offer DSTV, fans for summer, under floor heating for winter, heated towel rails, pure cotton linen, towels, swimming pool (bring your own swimming/beach towels), use of canoes and have secure parking for the Guesthouse and the self catering units. Ideal for paddling, rowing or boating with a bird sanctuary on the river the one way and Stanford historic village the other way or just swim in this lazy, tranquil, inviting and safe river. Experience the moods of the River! 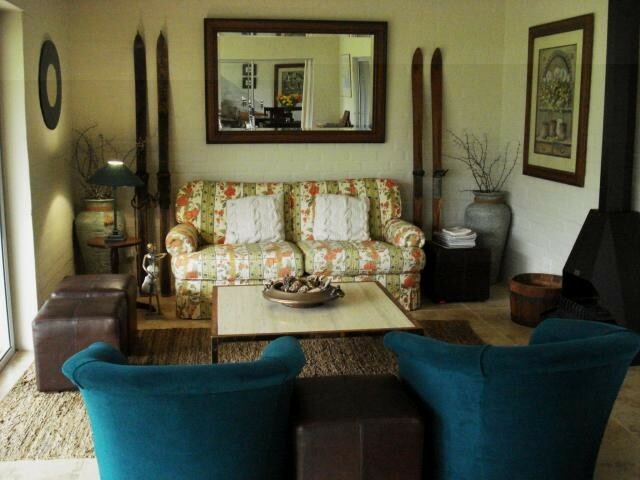 This would be a great lodge anywhere - for its laid back style (with B&B or spacious self-catering options) with meticulous attention to detail, but it's the river location that sets it apart. 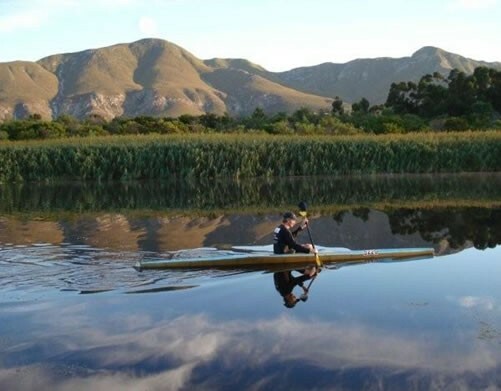 The Klein River is mesmerizing, it has a life of it's own - whether you just sit and watch it from your verandah - the river's ever-changing mood and light, the boats, birds and skiers passing by - or be a little more energetic and take one of the Lodge's canoes for a paddle up-river or down to Hermanus lagoon. That's an enthralling trip to take. John & Valda are wonderful hosts.